"Prokofiev" redirects here. For other uses, see Prokofiev (disambiguation). Sergei Sergeyevich Prokofiev (/prəˈkɒfiɛf, proʊ-, -ˈkɔː-, -ˈkoʊ-, -jɛf, -jɛv, -iəf/; Russian: Сергей Сергеевич Прокофьев, tr. Sergej Sergejevič Prokofjev;[n 1] 23 April 1891 – 5 March 1953) was a Russian and Soviet composer, pianist and conductor. As the creator of acknowledged masterpieces across numerous musical genres, he is regarded as one of the major composers of the 20th century. His works include such widely heard works as the March from The Love for Three Oranges, the suite Lieutenant Kijé, the ballet Romeo and Juliet – from which "Dance of the Knights" is taken – and Peter and the Wolf. Of the established forms and genres in which he worked, he created – excluding juvenilia – seven completed operas, seven symphonies, eight ballets, five piano concertos, two violin concertos, a cello concerto, a Symphony-Concerto for cello and orchestra, and nine completed piano sonatas. A graduate of the St Petersburg Conservatory, Prokofiev initially made his name as an iconoclastic composer-pianist, achieving notoriety with a series of ferociously dissonant and virtuosic works for his instrument, including his first two piano concertos. In 1915 Prokofiev made a decisive break from the standard composer-pianist category with his orchestral Scythian Suite, compiled from music originally composed for a ballet commissioned by Sergei Diaghilev of the Ballets Russes. Diaghilev commissioned three further ballets from Prokofiev – Chout, Le pas d'acier and The Prodigal Son – which at the time of their original production all caused a sensation among both critics and colleagues. Prokofiev's greatest interest, however, was opera, and he composed several works in that genre, including The Gambler and The Fiery Angel. Prokofiev's one operatic success during his lifetime was The Love for Three Oranges, composed for the Chicago Opera and subsequently performed over the following decade in Europe and Russia. After the Revolution, Prokofiev left Russia with the official blessing of the Soviet minister Anatoly Lunacharsky, and resided in the United States, then Germany, then Paris, making his living as a composer, pianist and conductor. During that time he married a Spanish singer, Carolina Codina, with whom he had two sons. In the early 1930s, the Great Depression diminished opportunities for Prokofiev's ballets and operas to be staged in America and western Europe. Prokofiev, who regarded himself as composer foremost, resented the time taken by touring as a pianist, and increasingly turned to Soviet Russia for commissions of new music; in 1936 he finally returned to his homeland with his family. He enjoyed some success there – notably with Lieutenant Kijé, Peter and the Wolf, Romeo and Juliet, and perhaps above all with Alexander Nevsky. The Nazi invasion of the USSR spurred him to compose his most ambitious work, an operatic version of Leo Tolstoy's War and Peace. In 1948 Prokofiev was attacked for producing "anti-democratic formalism", so with his standing compromised and his income severely curtailed, he was forced to compose Stalinist Soviet music, such as the cantata On Guard for Peace.} Nevertheless, he also enjoyed personal and artistic support from a new generation of Russian performers, notably Sviatoslav Richter and Mstislav Rostropovich: he wrote his ninth piano sonata for the former and his Symphony-Concerto for the latter. Prokofiev was born in 1891[n 2] in Sontsovka (now Krasnoe, Krasnoarmiisk Raion, Donetsk Oblast, eastern Ukraine), a remote rural estate in the Yekaterinoslav Governorate of the Russian Empire. His father, Sergei Alexeyevich Prokofiev, was an agronomist. Prokofiev's mother, Maria (née Zhitkova), came from a family of former serfs who had been owned by the Sheremetev family, under whose patronage serf-children were taught theatre and arts from an early age. She was described by Reinhold Glière (Prokofiev's first composition teacher) as "a tall woman with beautiful, clever eyes ... who knew how to create an atmosphere of warmth and simplicity about her." After their wedding in the summer of 1877, the Prokofievs had moved to a small estate in the Smolensk governorate. Eventually Sergei Alexeyevich found employment as a soil engineer, employed by one of his former fellow-students, Dmitri Sontsov, to whose estate in the Ukrainian steppes the Prokofievs moved. By the time of Prokofiev's birth Maria, having previously lost two daughters, had devoted her life to music; during her son's early childhood she spent two months a year in Moscow or St Petersburg taking piano lessons. Sergei Prokofiev was inspired by hearing his mother practising the piano in the evenings – mostly works by Chopin and Beethoven – and composed his first piano composition at the age of five, an 'Indian Gallop', which was written down by his mother: this was in the F Lydian mode (a major scale with a raised 4th scale degree) as the young Prokofiev felt 'reluctance to tackle the black notes'. By seven, he had also learned to play chess. Much like music, chess would remain a passion, and he became acquainted with world chess champions José Raúl Capablanca, whom he beat in a simultaneous exhibition match in 1914, and Mikhail Botvinnik, with whom he played several matches in the 1930s. [n 3] At the age of nine he was composing his first opera, The Giant, as well as an overture and various other pieces. In 1902, Prokofiev's mother met Sergei Taneyev, director of the Moscow Conservatory, who initially suggested that Prokofiev should start lessons in piano and composition with Alexander Goldenweiser. When Taneyev was unable to arrange this, he instead organised that composer and pianist Reinhold Glière should spend the summer of 1902 in Sontsovka teaching Prokofiev. This first series of lessons culminated, at the 11-year-old Prokofiev's insistence, with the budding composer making his first attempt to write a symphony. The following summer Glière revisited Sontsovka to give further tuition. When decades later Prokofiev wrote about his lessons with Glière, he gave due credit to his teacher's sympathetic method but complained that Glière had introduced him to "square" phrase structure and conventional modulations which he subsequently had to unlearn. 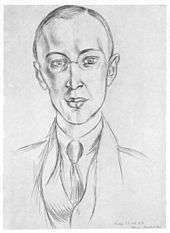 Nonetheless, equipped with the necessary theoretical tools, Prokofiev started experimenting with dissonant harmonies and unusual time signatures in a series of short piano pieces which he called "ditties" (after the so-called "song form" – more accurately ternary form – they were based on), laying the basis for his own musical style. Despite his growing talent, Prokofiev's parents hesitated over starting their son on a musical career at such an early age, and considered the possibility of his attending a quality high school in Moscow. By 1904, his mother had decided instead on Saint Petersburg, and she and Prokofiev visited the (then) capital to explore the possibility of their moving there for his education. They were introduced to composer Alexander Glazunov, a professor at the Conservatory, who asked to see Prokofiev and his music; Glazunov was so impressed that he urged Prokofiev's mother that her son apply to the Saint Petersburg Conservatory. By this point, Prokofiev had composed two more operas, Desert Islands and The Feast during the Plague, and was working on his fourth, Undina. He passed the introductory tests and entered the Conservatory that same year. Several years younger than most of his class, he was viewed as eccentric and arrogant, and he annoyed a number of his classmates by keeping statistics on the errors made by fellow students. During this period, he studied under, among others, Alexander Winkler for piano, Anatoly Lyadov for harmony and counterpoint, Nikolai Tcherepnin for conducting, and Nikolai Rimsky-Korsakov for orchestration (though when Rimsky-Korsakov died in 1908, Prokofiev noted that he had only studied with him "after a fashion" – he was just one of many students in a heavily attended class—and regretted that he otherwise "never had the opportunity to study with him"). He also shared classes with the composers Boris Asafyev and Nikolai Myaskovsky, the latter becoming a relatively close and lifelong friend. As a member of the Saint Petersburg music scene, Prokofiev developed a reputation as a musical rebel, while getting praise for his original compositions, which he performed himself on the piano. In 1909, he graduated from his class in composition with unimpressive marks. He continued at the Conservatory, studying piano under Anna Yesipova and continuing his conducting lessons under Tcherepnin. In 1910, Prokofiev's father died and Sergei's financial support ceased. Fortunately he had started making a name for himself as a composer and pianist outside the Conservatory, making appearances at the St Petersburg Evenings of Contemporary Music. There he performed several of his more adventurous piano works, such as his highly chromatic and dissonant Etudes, Op. 2 (1909). His performance of this impressed the organizers of Evenings sufficiently for them to invite Prokofiev to give the Russian premiere of Arnold Schoenberg's Drei Klavierstücke, Op. 11. Prokofiev's harmonic experimentation continued with Sarcasms for piano, Op. 17 (1912), which makes extensive use of polytonality. He composed his first two piano concertos around this time, the latter of which caused a scandal at its premiere (23 August 1913, Pavlovsk). According to one account, the audience left the hall with exclamations of "'To hell with this futuristic music! The cats on the roof make better music! '", but the modernists were in rapture. In 1911, help arrived from renowned Russian musicologist and critic Alexander Ossovsky, who wrote a supportive letter to music publisher Boris P. Jurgenson (son of publishing-firm founder Peter Jurgenson [1836–1904]); thus a contract was offered to the composer. Prokofiev made his first foreign trip in 1913, travelling to Paris and London where he first encountered Sergei Diaghilev's Ballets Russes. In 1914, Prokofiev finished his career at the Conservatory by entering the so-called 'battle of the pianos', a competition open to the five best piano students for which the prize was a Schreder grand piano: Prokofiev won by performing his own Piano Concerto No. 1. Soon afterwards, he journeyed to London where he made contact with the impresario Sergei Diaghilev. Diaghilev commissioned Prokofiev's first ballet, Ala and Lolli; but when Prokofiev brought the work in progress to him in Italy in 1915 he rejected it as "non-Russian". Urging Prokofiev to write "music that was national in character", Diaghilev then commissioned the ballet Chout (The Fool, the original Russian-language full title was Сказка про шута, семерых шутов перешутившего (Skazka pro shuta, semerykh shutov pereshutivshavo), meaning "The Tale of the Buffoon who Outwits Seven Other Buffoons"). Under Diaghilev's guidance, Prokofiev chose his subject from a collection of folktales by the ethnographer Alexander Afanasyev; the story, concerning a buffoon and a series of confidence tricks, had been previously suggested to Diaghilev by Igor Stravinsky as a possible subject for a ballet, and Diaghilev and his choreographer Léonide Massine helped Prokofiev to shape this into a ballet scenario. Prokofiev's inexperience with ballet led him to revise the work extensively in the 1920s, following Diaghilev's detailed critique, prior to its first production. The ballet's premiere in Paris on 17 May 1921 was a huge success and was greeted with great admiration by an audience that included Jean Cocteau, Igor Stravinsky and Maurice Ravel. Stravinsky called the ballet "the single piece of modern music he could listen to with pleasure," while Ravel called it "a work of genius." During World War I, Prokofiev returned to the Conservatory and studied organ in order to avoid conscription. He composed The Gambler based on Fyodor Dostoyevsky's novel of the same name, but rehearsals were plagued by problems and the scheduled 1917 première had to be canceled because of the February Revolution. In the summer of that year, Prokofiev composed his first symphony, the Classical. This was his own name for the symphony, which was written in the style that, according to Prokofiev, Joseph Haydn would have used if he had been alive at the time. It is more or less Classical in style but incorporates more modern musical elements (see Neoclassicism). This symphony was also an exact contemporary of Prokofiev's Violin Concerto No. 1 in D major, Op. 19, which was scheduled to premiere in November 1917. The first performances of both works had to wait until 21 April 1918 and 18 October 1923, respectively. He stayed briefly with his mother in Kislovodsk in the Caucasus. After completing the score of Seven, They Are Seven, a "Chaldean invocation" for chorus and orchestra, Prokofiev was "left with nothing to do and time hung heavily on my hands". Believing that Russia "had no use for music at the moment", Prokofiev decided to try his fortunes in America until the turmoil in his homeland had passed. He set out for Moscow and Petersburg in March 1918 to sort out financial matters and to arrange for his passport. In May he headed for the USA, having obtained official permission to do so from Anatoly Lunacharsky, the People's Commissar for Education, who told him: "You are a revolutionary in music, we are revolutionaries in life. We ought to work together. But if you want to go to America I shall not stand in your way." Arriving in San Francisco after having been released from questioning by immigration officials on Angel Island on 11 August 1918, Prokofiev was soon compared to other famous Russian exiles (such as Sergei Rachmaninoff). His debut solo concert in New York led to several further engagements. He also received a contract from the music director of the Chicago Opera Association, Cleofonte Campanini, for the production of his new opera The Love for Three Oranges; however, due to Campanini's illness and death, the premiere was postponed. This delay was another example of Prokofiev's bad luck in operatic matters. The failure also cost him his American solo career, since the opera took too much time and effort. He soon found himself in financial difficulties, and, in April 1920, he left for Paris, not wanting to return to Russia as a failure. In Paris Prokofiev reaffirmed his contacts with Diaghilev's Ballets Russes. He also completed some of his older, unfinished works, such as the Third Piano Concerto. The Love for Three Oranges finally premièred in Chicago, under the composer's baton, on 30 December 1921. Diaghilev became sufficiently interested in the opera to request Prokofiev play the vocal score to him in June 1922, while they were both in Paris for a revival of Chout, so he could consider it for a possible production. Stravinsky, who was present at the audition, refused to listen to more than the first act. When he then accused Prokofiev of "wasting time composing operas", Prokofiev retorted that Stravinsky "was in no position to lay down a general artistic direction, since he is himself not immune to error". According to Prokofiev, Stravinsky "became incandescent with rage" and "we almost came to blows and were separated only with difficulty". As a result, "our relations became strained and for several years Stravinsky's attitude toward me was critical." In March 1922, Prokofiev moved with his mother to the town of Ettal in the Bavarian Alps, where for over a year he concentrated on an opera project, The Fiery Angel, based on the novel by Valery Bryusov. By this time his later music had acquired a following in Russia, and he received invitations to return there, but he decided to stay in Europe. In 1923, Prokofiev married the Spanish singer Carolina Codina (1897–1989, whose stage name was Lina Llubera) before moving back to Paris. 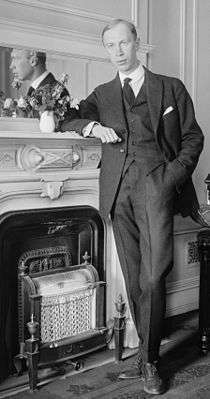 In Paris, several of his works, including the Second Symphony, were performed, but their reception was lukewarm and Prokofiev sensed that he "was evidently no longer a sensation". Still, the Symphony appeared to prompt Diaghilev to commission Le pas d'acier (The Steel Step), a "modernist" ballet score intended to portray the industrialisation of the Soviet Union. It was enthusiastically received by Parisian audiences and critics. Around 1924, Prokofiev was introduced to Christian Science. He began to practice its teachings, which he believed to be beneficial to his health and to his fiery temperament, and to which he remained faithful for the rest of his life, according to biographer Simon Morrison. Prokofiev and Stravinsky restored their friendship, though Prokofiev particularly disliked Stravinsky's "stylization of Bach" in such recent works as the Octet and the Concerto for Piano and Wind Instruments. [n 4] For his part, Stravinsky described Prokofiev as the greatest Russian composer of his day, after himself. In 1927, Prokofiev made his first concert tour in the Soviet Union. Over the course of more than two months, he spent time in Moscow and Leningrad (as Saint Petersburg had been renamed), where he enjoyed a very successful staging of The Love for Three Oranges in the Mariinsky Theatre. In 1928, Prokofiev completed his Third Symphony, which was broadly based on his unperformed opera The Fiery Angel. The conductor Serge Koussevitzky characterized the Third as "the greatest symphony since Tchaikovsky's Sixth." In the meantime, however, Prokofiev, under the influence of the teachings of Christian Science, had turned against the expressionist style and the subject matter of The Fiery Angel. He now preferred what he called a "new simplicity", which he believed more sincere than the "contrivances and complexities" of so much modern music of the 1920s. [n 5] During 1928–29, Prokofiev composed what was to be his last ballet for Diaghilev, The Prodigal Son. When first staged in Paris on 21 May 1929, with Serge Lifar in the title role, the audience and critics were particularly struck by the final scene in which the prodigal son drags himself across the stage on his knees to be welcomed by his father. Diaghilev had recognised that in the music to this scene, Prokofiev had "never been more clear, more simple, more melodious, and more tender." Only months later, Diaghilev died. That summer, Prokofiev completed the Divertimento, Op. 43 (which he had started in 1925) and revised his Sinfonietta, Op. 5/48, a work started in his days at the Conservatory. [n 6] In October that year, he had a car crash while driving his family back to Paris from their holiday: as the car turned over, Prokofiev pulled some muscles on his left hand. Prokofiev was therefore unable to perform in Moscow during his tour shortly after the accident, but he was able to enjoy watching performances of his music from the audience. Prokofiev also attended the Bolshoi Theatre's "audition" of his ballet Le pas d'acier, and was interrogated by members of the Russian Association of Proletarian Musicians (RAPM) about the work: he was asked whether the factory portrayed "a capitalist factory, where the worker is a slave, or a Soviet factory, where the worker is the master? If it is a Soviet factory, when and where did Prokofiev examine it, since from 1918 to the present he has been living abroad and came here for the first time in 1927 for two weeks [sic]?" Prokofiev replied, "That concerns politics, not music, and therefore I won't answer." The RAPM condemned the ballet as a "flat and vulgar anti-Soviet anecdote, a counter-revolutionary composition bordering on Fascism". The Bolshoi had no option but to reject the ballet. With his left hand healed, Prokofiev toured the United States successfully at the start of 1930, propped up by his recent European success. That year Prokofiev began his first non-Diaghilev ballet On the Dnieper, Op. 51, a work commissioned by Serge Lifar, who had been appointed maitre de ballet at the Paris Opéra. In 1931 and 1932, he completed his fourth and fifth piano concertos. The following year saw the completion of the Symphonic Song, Op. 57, which Prokofiev's friend Myaskovsky – thinking of its potential audience in the Soviet Union – told him "isn't quite for us ... it lacks that which we mean by monumentalism – a familiar simplicity and broad contours, of which you are extremely capable, but temporarily are carefully avoiding." By the early 1930s, both Europe and America were suffering from the Great Depression, which inhibited both new opera and ballet productions, though audiences for Prokofiev's appearances as a pianist were—in Europe at least—undiminished. However Prokofiev, who saw himself as a composer first and foremost, increasingly resented the amount of time that was lost to composition through his appearances as a pianist. Having been homesick for some time, Prokofiev began to build substantial bridges with the Soviet Union. Following the dissolution of the RAPM in 1932, he acted increasingly as a musical ambassador between his homeland and western Europe, and his premieres and commissions were increasingly under the auspices of the Soviet Union. One such was Lieutenant Kijé, which was commissioned as the score to a Soviet film. Another commission, from the Kirov Theatre (as the Mariinsky had now been renamed) in Leningrad, was the ballet Romeo and Juliet, composed to a scenario created by Adrian Piotrovsky and Sergei Radlov following the precepts of "drambalet" (dramatised ballet, officially promoted at the Kirov to replace works based primarily on choreographic display and innovation). Following Radlov's acrimonious resignation from the Kirov in June 1934, a new agreement was signed with the Bolshoi Theatre in Moscow on the understanding that Piotrovsky would remain involved. However, the ballet's original happy ending (contrary to Shakespeare) provoked controversy among Soviet cultural officials; the ballet's production was then postponed indefinitely when the staff of the Bolshoi was overhauled at the behest of the chairman of the Committee on Arts Affairs, Platon Kerzhentsev. Nikolai Myaskovsky, one of his closest friends, mentioned in a number of letters how he would like Prokofiev to stay in Russia. 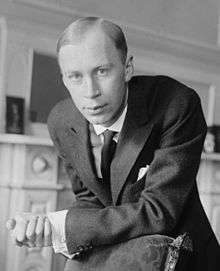 In 1936, Prokofiev and his family settled permanently in Moscow, after shifting back and forth between Moscow and Paris for the past four years. That year he composed one of his most famous works, Peter and the Wolf, for Natalya Sats's Central Children's Theatre. Sats also persuaded Prokofiev to write two songs for children, "Sweet Song", and "Chatterbox"; these were eventually joined by "The Little Pigs" and published as Three Children's Songs, Op. 68. Prokofiev also composed the gigantic Cantata for the 20th Anniversary of the October Revolution, originally intended for performance during the anniversary year but effectively blocked by Kerzhentsev, who demanded at the work's audition before the Committee on Arts Affairs, "Just what do you think you're doing, Sergey Sergeyevich, taking texts that belong to the people and setting them to such incomprehensible music?" The Cantata had to wait until 5 April 1966 for a partial premiere (just over 13 years after the composer's death). Forced to adapt to the new circumstances (whatever misgivings he had about them in private), Prokofiev wrote a series of "mass songs" (Opp. 66, 79, 89), using the lyrics of officially approved Soviet poets. In 1938, Prokofiev collaborated with Eisenstein on the historical epic Alexander Nevsky. For this he composed some of his most inventive and dramatic music. Although the film had a very poor sound recording, Prokofiev adapted much of his score into a large-scale cantata for mezzo-soprano, orchestra and chorus, which was extensively performed and recorded. In the wake of Alexander Nevsky's success, Prokofiev composed his first Soviet opera Semyon Kotko, which was intended to be produced by the director Vsevolod Meyerhold. However the première of the opera was postponed because Meyerhold was arrested on 20 June 1939 by the NKVD (Joseph Stalin's Secret Police), and shot on 2 February 1940. Only months after Meyerhold's arrest, Prokofiev was 'invited' to compose Zdravitsa (literally translated 'Cheers! ', but more often given the English title Hail to Stalin) (Op. 85) to celebrate Joseph Stalin's 60th birthday. Later in 1939, Prokofiev composed his Piano Sonatas Nos. 6, 7, and 8, Opp. 82–84, widely known today as the "War Sonatas." Premiered respectively by Prokofiev (No. 6: 8 April 1940), Sviatoslav Richter (No. 7: Moscow, 18 January 1943) and Emil Gilels (No. 8: Moscow, 30 December 1944), they were subsequently championed in particular by Richter. Biographer Daniel Jaffé argued that Prokofiev, "having forced himself to compose a cheerful evocation of the nirvana Stalin wanted everyone to believe he had created" (i.e. in Zdravitsa) then subsequently, in these three sonatas, "expressed his true feelings". As evidence of this, Jaffé has pointed out that the central movement of Sonata No. 7 opens with a theme based on a Robert Schumann lied, 'Wehmut' ('Sadness', which appears in Schumann's Liederkreis, Op. 39): the words to this translate "I can sometimes sing as if I were glad, yet secretly tears well and so free my heart. Nightingales ... sing their song of longing from their dungeon's depth ... everyone delights, yet no one feels the pain, the deep sorrow in the song." Ironically (because, it appears, no one had noticed his allusion) Sonata No. 7 received a Stalin Prize (Second Class), and No. 8 a Stalin Prize First Class. In the meantime, Romeo and Juliet was finally staged by the Kirov ballet, choreographed by Leonid Lavrovsky, on 11 January 1940. To the surprise of all its participants, the dancers having struggled to cope with the music's syncopated rhythms and almost having boycotted the production, the ballet was an instant success, and became recognised as the crowning achievement of Soviet dramatic ballet. Prokofiev had been considering making an opera out of Leo Tolstoy's epic novel War and Peace, when news of the German invasion of Russia on 22 June 1941 made the subject seem all the more timely. Prokofiev took two years to compose his original version of War and Peace. Because of the war he was evacuated together with a large number of other artists, initially to the Caucasus where he composed his Second String Quartet. 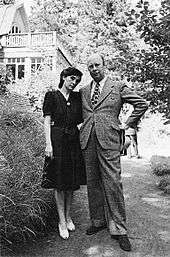 By this time his relationship with the 25-year-old writer and librettist Mira Mendelson (1915–1968) had finally led to his separation from his wife Lina, although they were never technically divorced: indeed Prokofiev had tried to persuade Lina and their sons to accompany him as evacuees out of Moscow, but Lina opted to stay. During the war years, restrictions on style and the demand that composers write in a 'socialist realist' style were slackened, and Prokofiev was generally able to compose in his own way. The Violin Sonata No. 1, Op. 80, The Year 1941, Op. 90, and the Ballade for the Boy Who Remained Unknown, Op. 93 all came from this period. In 1943 Prokofiev joined Eisenstein in Alma-Ata, the largest city in Kazakhstan, to compose more film music (Ivan the Terrible), and the ballet Cinderella (Op. 87), one of his most melodious and celebrated compositions. Early that year he also played excerpts from War and Peace to members of the Bolshoi Theatre collective, but the Soviet government had opinions about the opera that resulted in many revisions. In 1944, Prokofiev composed his Fifth Symphony (Op. 100) at a composer's colony outside Moscow. He conducted its first performance on 13 January 1945, just a fortnight after the triumphant premieres on 30 December 1944 of his Eighth Piano Sonata and, on the same day, the first part of Eisenstein's Ivan the Terrible. With the premiere of his Fifth Symphony, which was programmed alongside Peter and the Wolf and the Classical Symphony (these conducted by Nikolai Anosov), Prokofiev appeared to reach the peak of his celebrity as a leading composer of the Soviet Union. Shortly afterward, he suffered a concussion after a fall due to chronic high blood pressure. He never fully recovered from this injury, and was forced on medical advice to restrict his composing activity. Prokofiev had time to write his postwar Sixth Symphony and his Ninth Piano Sonata (for Sviatoslav Richter) before the so-called "Zhdanov Decree". In early 1948, following a meeting of Soviet composers convened by Andrei Zhdanov, the Politburo issued a resolution denouncing Prokofiev, Dmitri Shostakovich, Myaskovsky, and Khachaturian of the crime of "formalism", described as a "renunciation of the basic principles of classical music" in favour of "muddled, nerve-racking" sounds that "turned music into cacophony". Eight of Prokofiev's works were banned from performance: The Year 1941, Ode to the End of the War, Festive Poem, Cantata for the Thirtieth Anniversary of October, Ballad of an Unknown Boy, the 1934 piano cycle Thoughts, and Piano Sonatas Nos 6 and 8. Such was the perceived threat behind the banning of these works that even works that had avoided censure were no longer programmed: by August 1948, Prokofiev was in severe financial straits, his personal debt amounting to 180,000 rubles. Meanwhile, on 20 February 1948, Prokofiev's wife Lina was arrested for 'espionage', as she had tried to send money to her mother in Spain. After nine months of interrogation, she was sentenced by a three-member Military Collegium of the Supreme Court of the USSR to 20 years of hard labour. She was eventually released after Stalin's death in 1953 and in 1974 left the Soviet Union. Prokofiev's latest opera projects, among them his desperate attempt to appease the cultural authorities, The Story of a Real Man, were quickly cancelled by the Kirov Theatre. This snub, in combination with his declining health, caused Prokofiev to progressively withdraw from public life and from various activities, even his beloved chess, and increasingly devote himself to his own work. After a serious relapse in 1949, his doctors ordered him to limit his composing to an hour a day. In spring 1949 he wrote his Cello Sonata in C, Op. 119, for the 22-year-old Mstislav Rostropovich, who gave the first performance in 1950, with Sviatoslav Richter. For Rostropovich, Prokofiev also extensively recomposed his Cello Concerto, transforming it into a Symphony-Concerto, his last major masterpiece and a landmark in the cello and orchestra repertory today. The last public performance he attended was the première of the Seventh Symphony in 1952. The music was written for the Children's Radio Division. Prokofiev died at the age of 61 on 5 March 1953, the same day as Joseph Stalin. He had lived near Red Square, and for three days the throngs gathered to mourn Stalin, making it impossible to carry Prokofiev's body out for the funeral service at the headquarters of the Soviet Composers' Union. 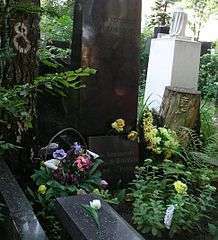 He is buried in the Novodevichy Cemetery in Moscow. He was an atheist. The leading Soviet musical periodical reported Prokofiev's death as a brief item on page 116. The first 115 pages were devoted to the death of Stalin. Usually Prokofiev's death is attributed to cerebral hemorrhage. He had been chronically ill for the prior eight years; the precise nature of Prokofiev's terminal illness remains uncertain. Lina Prokofiev outlived her estranged husband by many years, dying in London in early 1989. Royalties from her late husband's music provided her with a modest income, and she acted as storyteller for a recording of her husband's Peter and the Wolf (currently released on CD by Chandos Records) with Neeme Järvi conducting the Scottish National Orchestra. Their sons Sviatoslav (1924–2010), an architect, and Oleg (1928–1998), an artist, painter, sculptor and poet, dedicated a large part of their lives to the promotion of their father's life and work. Arthur Honegger proclaimed that Prokofiev would "remain for us the greatest figure of contemporary music," and the American scholar Richard Taruskin has recognised Prokofiev's "gift, virtually unparalleled among 20th-century composers, for writing distinctively original diatonic melodies." Yet for some time Prokofiev's reputation in the West suffered as a result of Cold War antipathies, and his music has never won from Western academics and critics the kind of esteem enjoyed by Igor Stravinsky and Arnold Schoenberg, composers purported to have had a greater influence on younger generations of musicians. Today Prokofiev may well be the most popular composer of 20th-century music. His orchestral music alone is played more frequently in the United States than that of any other composer of the last hundred years save Richard Strauss, while his operas, ballets, chamber works, and piano music appear regularly throughout major concert halls worldwide. The composer was honoured in his native Donetsk Oblast when the Donetsk International Airport was renamed "Donetsk Sergey Prokofiev International Airport" and the Donetsk Musical and Pedagogical Institute was renamed the "S.S. Prokofiev State Music Academy of Donetsk" in 1988. Romeo and Juliet, Op. 64, ballet in four acts, contains the famous "Dance of the Knights"
Betrothal in a Monastery, Op. 86, opera. Ivan the Terrible, Op. 116, music for Eisenstein's classic film of the same name. Prokofiev was a soloist with the London Symphony Orchestra, conducted by Piero Coppola, in the first recording of his Piano Concerto No. 3, recorded in London by His Master's Voice in June 1932. Prokofiev also recorded some of his solo piano music for HMV in Paris in February 1935; these recordings were issued on CD by Pearl and Naxos. In 1938, he conducted the Moscow Philharmonic Orchestra in a recording of the second suite from his Romeo and Juliet ballet; this performance was later released on LP and CD. Another reported recording with Prokofiev and the Moscow Philharmonic was of the First Violin Concerto with David Oistrakh as soloist; Everest Records later released this recording on an LP. Despite the attribution, the conductor was Aleksandr Gauk. A short sound film of Prokofiev playing some of the music from his opera War and Peace and then explaining the music has been discovered. Prokofiev, Sergei (1979). David H. Appel, ed. Prokofiev by Prokofiev: A Composer's Memoir. Guy Daniels (translator). New York: Doubleday & Co. ISBN 0-385-09960-6. Prokofiev, Sergei (1991). Soviet Diary 1927 and Other Writings. London: Faber and Faber. Prokofiev, Sergei (2000) . S. Shlifstein, ed. Sergei Prokofiev: Autobiography, Articles, Reminiscences. Rose Prokofieva (translator). The Minerva Group, Inc. ISBN 0-89875-149-7. Prokofiev, Sergei (2006). Anthony Phillips (translator), ed. Diaries 1907–1914: Prodigious Youth. London/Ithaca: Faber and Faber/Cornell University Press. ISBN 978-0-8014-4540-8. Prokofiev, Sergei (2008). Anthony Phillips (translator), ed. Diaries 1915–1923: Behind the Mask. London / Ithaca: Faber and Faber/Cornell University Press. ISBN 978-0-571-22630-6. Prokofiev, Sergei (2012). Anthony Phillips (translator), ed. Diaries 1924–1933: Prodigal Son. London/ Ithaca: Faber and Faber/Cornell University Press. ISBN 978-0-571-23405-9. Sats, Natalia (1979). Sketches From My Life. Sergei Syrovatkin (translator). Moscow: Raduga Publishers. ISBN 5-05-001099-3. Shlifstein (ed. ), Semyon (1956). Prokofiev: Autobiography, Articles, Reminiscences. Rose Prokofieva (translator). Moscow: Foreign Languages Publishing House. Dorigné, Michel (1994). Serge Prokofiev. Paris. Jaffé, Daniel (1998). Sergey Prokofiev (2008 ed.). London. Morrison, Simon (2009). The People's Artist: Prokofiev's Soviet Years. Oxford. Morrison, Simon (2013). The Love & Wars of Lina Prokofiev. London. Nestyev, Israel (1946). Prokofiev, his Musical Life. New York. Nestyev, Israel (1961). Prokofiev. Florence Jonas (translator). Stanford: Stanford University Press. Nice, David (2003). Prokofiev: From Russia to the West 1891–1935. London. Rakhmanova, Marina Pavlovna, ed. (1991). Сергей Прокофьев: к 110-летию со дня рождения: письма, воспоминания, статьи [Sergei Prokofiev on the 110th anniversary of his birth: letters, reminiscences and articles] (in Russian). Moscow. ISBN 978-5-201-14607-8. Samuel, Claude (1971). Prokofiev. London. ISBN 0-7145-0490-4. Seroff, Victor (1968). Sergei Prokofiev: A Soviet Tragedy. New York. Vishnevetsky, Igor (2009). Sergei Prokofiev (in Russian). Moscow. ISBN 978-5-235-03212-5. Ezrahi, Christina (2012). Swans of the Kremlin: Ballet and Power in Soviet Russia. Pittsburgh. ISBN 978-1-85273-158-8. Tomoff, Kiril (2006). Creative Union: The Professional Organization of Soviet Composers, 1939–1953. Ithaca. ISBN 978-0-8014-4411-1. ↑ Russian pronunciation: [sʲɪˈrɡʲej sʲɪˈrɡʲeɪvʲɪtɕ prɐˈkofʲjɪf]; alternative transliterations of his name include Sergey or Serge, and Prokofief, Prokofieff, or Prokofyev. ↑ While Sergei Prokofiev himself believed 11/23 April to be his birth date, the posthumous discovery of his birth certificate showed that he was actually born four days later, on 15/27 April. ↑ Prokofiev has the rare distinction for a composer of having won a game against a future world chess champion, albeit in the context of a simultaneous match: his win over Capablanca of 16 May 1914 can be played through at chessgames.com (Java required). For extracts from Prokofiev's notebooks recounting his games against Capablanca, see: The Game (part 2), sprkfv.net. ↑ It has been suggested that Prokofiev's use of text from Stravinsky's Symphony of Psalms to characterise the invading Teutonic knights in the film score for Eisenstein's Alexander Nevsky (1938) was intended as a dig at Stravinsky's "pseudo-Bachism". ↑ That is not to say that Prokofiev approved of simplistic music: when in June 1926 he arranged "a simplified version of the March from Oranges as a crowd-pleaser", Prokofiev observed in his diary, "The process of denuding for the sake of simplicity is highly disagreeable". ↑ Prokofiev wrote in his autobiography that he could never understand why the Sinfonietta was so rarely performed, whereas the "Classical" Symphony was played everywhere. ↑ "Prokofiev". Dictionary.com Unabridged. Random House. ↑ "Russian/Soviet Politics and their effect on 20th c music". ↑ "review of On Guard for peace". ↑ Sidorov, Yuriy (2 August 2012). "ОТЕЧЕСТВЕННЫЕ ЗАПИСКИ". Retrieved 7 August 2014. ↑ "Sergei Prokofiev". Music Academy Online. Retrieved 23 March 2014. ↑ "Sergei Prokofiev by Paul Shoemaker". MusicWeb International. Retrieved 23 March 2014. ↑ "Prokofiev". Ballet Met. Retrieved 23 March 2014. ↑ Autobiography by Sergey Prokofiev: reprinted in Sergei Prokofiev: Soviet Diary 1927 and Other Writings. London: Faber and Faber, 1991. ↑ See: Winter, Edward. "Sergei Prokofiev and Chess", chesshistory.com. ↑ All references retrieved 19 December 2011. ↑ "He was a child prodigy on the order of Mozart, composing for piano at age five and writing an opera at nine". ↑ Berman, Boris (2008). Prokofiev's Piano Sonatas: A Guide for the Listener and the Performer. New Haven, Connecticut: Yale University Press. p. 35. ISBN 978-0-300-11490-4. ↑ polytonality (music) – Britannica Online Encyclopedia. Britannica.com. Retrieved on 28 August 2010. ↑ The Many faces of Prokofiev. Part 2. Sprkfv.net. Retrieved on 28 August 2010. ↑ Wakin, Daniel J. (8 March 2009). "THE WEEK AHEAD: March 8–14 March: Classical". The New York Times. Retrieved 23 May 2010. ↑ "Simon Morrison: review of Sergei Prokof'ev Dnevnik 1907–1933 (part 2)". Sprkfv.net. Retrieved 2012-06-10. ↑ Martin Kettle (21 July 2006). "First among equals". The Guardian. UK. Retrieved 29 May 2014. ↑ "Prokofiev wrote the first version of War and Peace during the Second World War. He revised it in the late forties and early fifties, during the period of the 1948 Zhdanov Decree, which attacked obscurantist tendencies in the music of leading Soviet composers." ↑ "The tragedy of Sergei Prokofiev. [Semin Neurol. 1999] – PubMed – NCBI". Ncbi.nlm.nih.gov. 2012-04-04. Retrieved 2012-06-10. ↑ "Sergei Prokofiev: Peter and the Wolf". Chandos. Retrieved 7 August 2014. ↑ Norris, Geoffrey (23 January 2003). "My father was naïve". The Daily Telegraph. London. Retrieved 29 May 2014. ↑ Mann, Noelle (26 August 1998). "Obituary: Oleg Prokofiev". Independent, The (London). Retrieved 7 June 2013. ↑ Taruskin, R. in The New Grove Dictionary of Opera. Sadie, S. (Ed.) Oxford, 2004. ↑ Robinson, H. "A Tale of Three Cities: Petrograd, Paris, Moscow." Lecture at Stanley H. Kaplan Penthouse, Lincoln Center, New York, NY, 24 March 2009. ↑ Dorothea Redepenning. "Grove Music Online." This tertiary source reuses information from other sources but does not name them. ↑ "Prokofiev and Stravinsky – Composers Conduct". Parnassus Classical CDs and Records. Retrieved 1 June 2014. ↑ "Prokofiev plays and talks about his music ...". YouTube. Retrieved 2012-06-10. Wikimedia Commons has media related to Sergei Prokofiev. "Prokofiev material". BBC Radio 3 archives. Holdings of the Serge Prokofiev Archive listed under AIM25.